High-speed rail is an integral part of China’s modernisation plans. From next month, its newest bullet train route from Shanghai to Kunming will open, cutting the journey by over 25 hours! 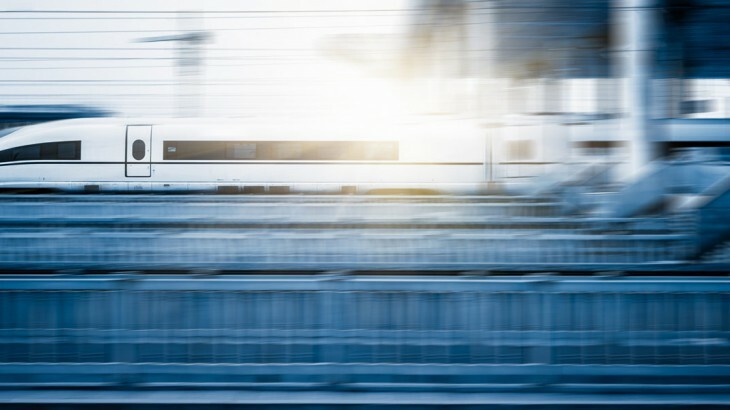 The route, covering 1,400 miles, will be able to be completed in just 9 hours at an average speed of 218mph, down from the 35-40 hours it currently takes to travel between the two cities. For tourists planning a holiday to China, this will help them to explore areas within China that were once possibly out of reach. The construction of the line was split into three parts and started in Shanghai in 2009. By 2010, the first section between Shanghai and Hangzhou opened, cutting journey times from 75 minutes to 45 minutes. 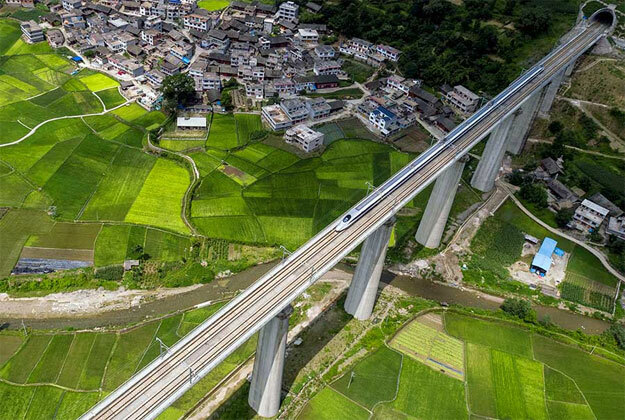 2014 saw the opening of the second section between Hangzhou and Changsha via Nanching, and the final section of the Shanghai to Kunming high-speed railway will open in December. Once complete, it will be the longest East to West train route in China. The ticket price for the entire journey will be priced around 750 Yuan (£88 in Nov 16), significantly cheaper than the airfare between Shanghai and Kunming. A China holiday including a tour of Yunnan will now be more accessible to all. The home of the city of Kunming, Yunnan Province occupies the Southern-West tip of China. With approximately 50 million residents, Yunnan is one of China’s most diverse areas thanks to its mix of wonderful landscapes and ethnic minority cultures. Its wealth of tourist attractions earned it a place on the map as a top destination for local and international tourists in 2017, and so the opening of the high-speed line will help to make journeys into the area much easier. It seems that 2017 is the year to explore the lesser-visited areas of China; and we’re excited to bring you there. 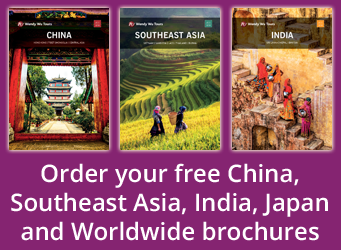 It’s never been easier to plan your 2017 China trip: book it with the UK’s leading China Experts, Wendy Wu Tours. Our fully inclusive, escorted tours of China visit all the major sights, as well as those off-the-beaten-track areas, such as Yunnan, Sichuan and Tibet. Talk to us today!